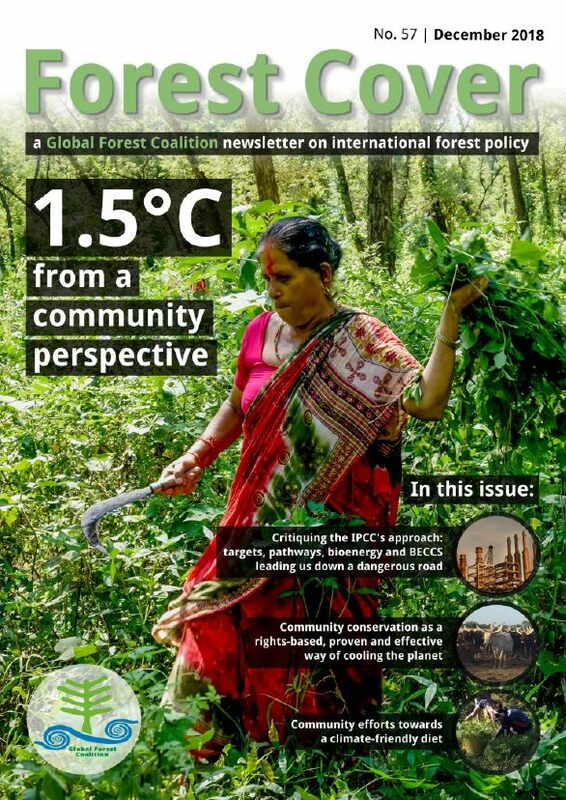 The Global Forest Coalition produces Roots, a semi-regular e-newsletter, and Forest Cover, the Global Forest Coalition magazine on international forest policy. Roots features news and reports on GFC and our member’s activities, feedback from international events related to forests, as well as notice of future meetings and events. Forest Cover is published three times a year and features critical articles written by a broad diversity of GFC members and allies on international forest-related policies, news from other NGOs and IPOs, and reports on important intergovernmental meetings related to forests. You can download recent editions of Forest Cover here, and view our last edition of Roots here. Please fill out the form below to subscribe to Roots, Forest Cover, and alerts on other reports and information materials we publish. The Global Forest Coalition is committed to respecting the privacy of its members, allies and other contacts. We will only use your personal data for the purpose you have shared it with us for. We will store it in a safe place and never share it with third parties if we have not received your explicit consent to do so. We will not use your personal data for any purpose for which you have not given us your explicit consent, and we will delete it whenever the purpose for which you have shared it with us (e.g. a workshop) has ended.